Al Gore is the cofounder and chairman of Current TV, an Emmy Award-winning, independently owned cable and satellite television news and information network for young people based on viewer-created content, citizen journalism, and investigative reporting. He is also cofounder and chairman of Generation Investment Management, a firm focused on a new approach to sustainable investing. Gore is a partner with the venture capial firm Kleiner Perkins Caufield & Byers, a member of the Board of Directors of Apple, and a senior advisor to Google. 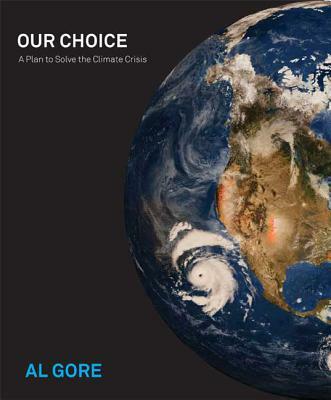 He is a visiting professor at Middle Tennessee State University in Murfreesboro, Tennessee, and chairs a nonprofit organization designed to help solve the climate crisis-the Alliance for Climate Protection-to which he is donating 100 percent of his earnings from this book. Gore was first elected to the U.S. House of Representatives in 1976 and then to the U.S. Senate in 1984 and 1990. He was inaugurated as the 45th vice president of the United States on January 20, 1993, and served for eight years. He is the author of the bestsellers Earth in the Balance: Ecology and the Human Spirit, An Inconvenient Truth, and The Assault on Reason and was featured in an Academy Award-winning documentary. He was a corecipient of the Nobel Peace Prize in 2007. Al Gore lives in Nashville, Tennessee. He and his wife, Tipper, have four children and three grandchildren.